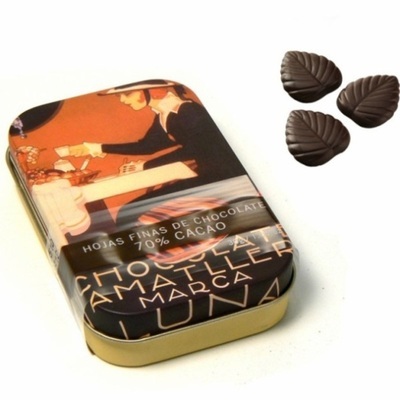 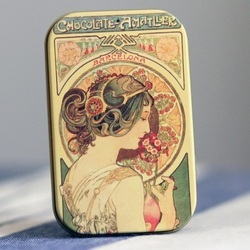 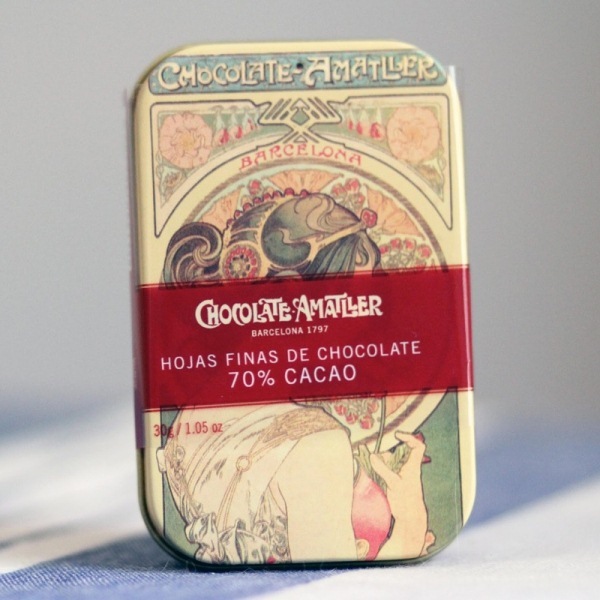 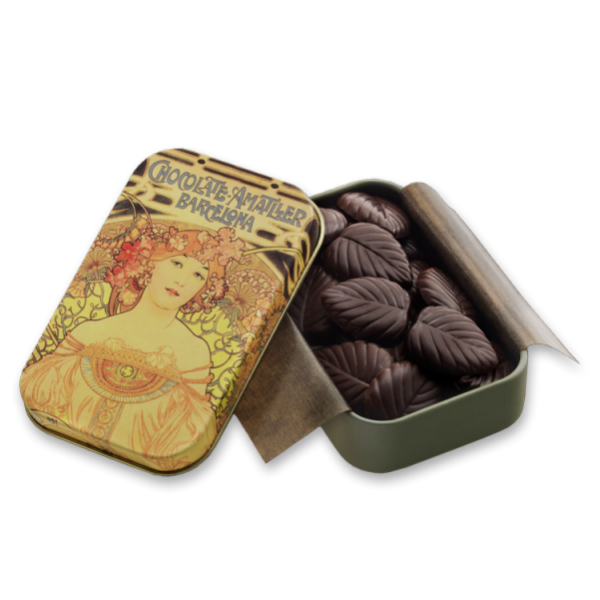 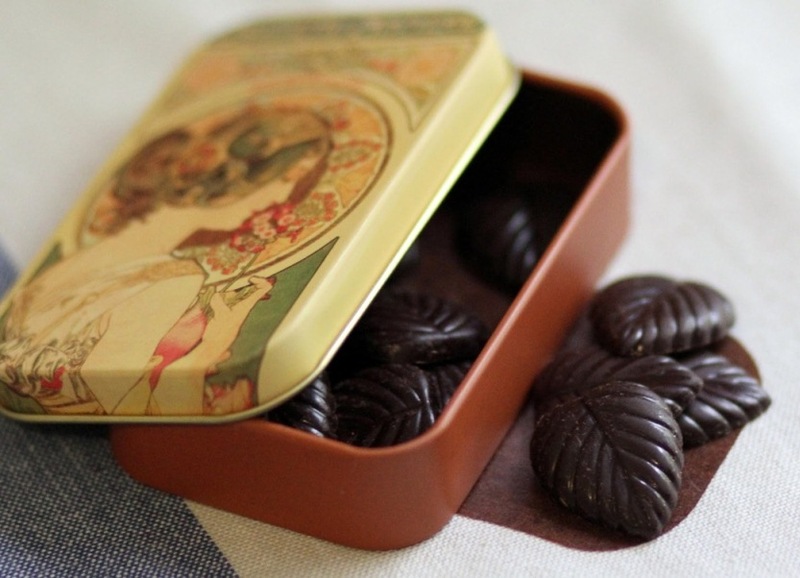 Thin leaves of 70% cocoa dark chocolate, which come wrapped in delicate parchment paper inside a metal box decorated with old promotional posters from Chocolate Amatller. 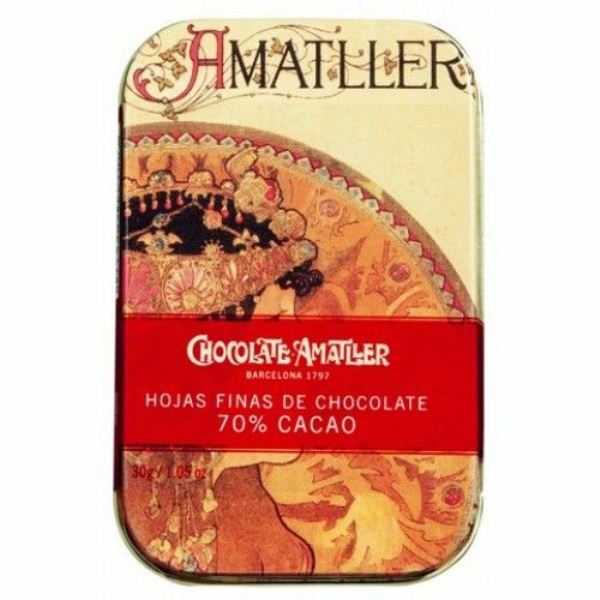 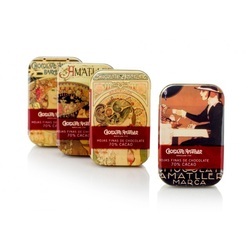 Made with Ghanaian cocoa beans, following Amatller’s own method of selection, roasting, refining and conching, the chocolate is characterised by an intense flavour, which has a long finish and an accent on toasted notes. Ideal as a gift or to share. 4 tins of 30g net weight each. Ingredients: Cocoa Mass, sugar, emulsifier ( soya lecithin) and vanilla.Cocoa solids: 70% minimum.